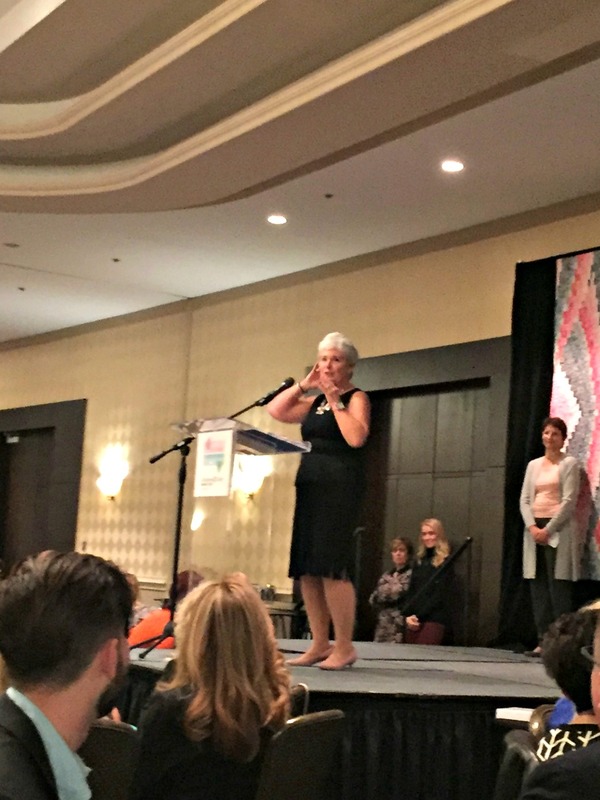 Yesterday I had the honor of sharing a room filled with 960 people who had come together to raise money to fight breast cancer and ovarian cancer. It was a celebration of the women who have survived these cancers and their medical professionals. One of the keynote speakers was my friend Fran who has not only survived what life has pitched at her, she has grown into an even more amazing person and friend with every passing day. I am so thankful to be Fran’s friend, and I am so thankful that she is counted among the survivors, but also so thankful for the experience of being at an affair that overflowed with gratitude. I am sharing the following poem because it exemplifies Fran’s spirit. troubles of more than one kind. I hope that by writing these posts that we will move together beyond thankfulness into appreciation. Because appreciation for the moments and things for which we give thanks requires us to be mindful of our lives. “You gain strength, courage, and confidence by every experience in which you really stop to look fear in the face.” Eleanor Roosevelt. Hi Bernadette, thank you for a great inspiring blog. Thanks Kate. I am very thankful for your reading and comments. Fran sounds like an amazing person! Thanks for sharing her with us! And I love the Dr. Seuss poem. One of my favs. Thank you Bernadette! You said that since her breast cancer, Fran has become an even more amazing person. As difficult as it feels, it seems we must look for the hidden gifts in our troubles. so good to have inspiring people in our lives, to help us keep going on our individual paths. Fran sounds like a wonderful woman. and you. with this gratitude project. yes, m’am. good stuff indeed. Thanks Michelle for taking the time to read and comment. It am very grateful to have met you and that you are taking on this project this week. Thank you my friend and I give thanks that you are counted among the survivors. Your posts always lift my spirit. I’m so glad that your friend Fran is a survivor and that you were able to celebrate with her. It sounds like a remarkable event! It was. Thanks for your thoughtful comment. I am so glad you found your way over. ← Bernadette is a friend to have in this place. She’s a lovely, smart, warm and totally inspiring woman.